California Republican Rep. Duncan Hunter continues to feverishly pursue the Medal of Honor for fallen Marine Sgt. 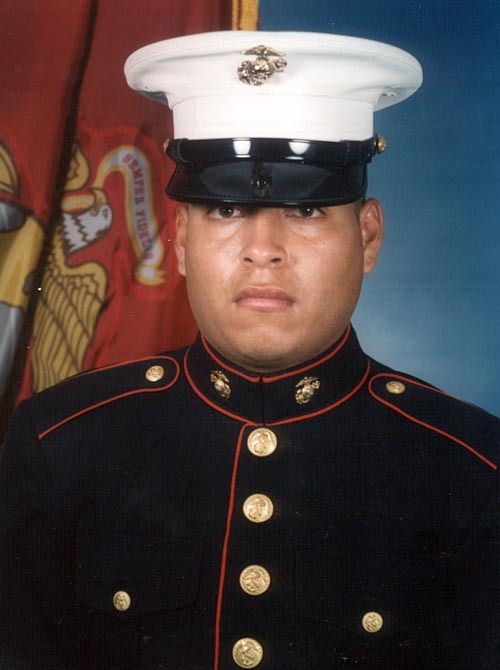 Rafael Peralta, who scooped a grenade under his body to save other Marines in Fallujah, Iraq on Nov. 15, 2004, according to Marines who saw him do it. He was awarded the Navy Cross – even though the Marine Corps recommended him for the Medal of Honor – after the Defense Department convened its own panel which concluded the evidence for the nation’s highest award for combat valor was not sufficient. Peralta’s family rejected the Navy Cross. Hunter has doggedly pursued the higher award. The Navy is currently reviewing new evidence (including videos previously unseen and a new forensic analysis) that Hunter gathered and turned over to Navy Secretary Ray Mabus in late March. Still no word from the Navy. But today, an hour before the House of Representatives voted to pass the National Defense Authorization Act, Hunter offered an amendment requiring the Navy to provide the House Armed Services Committee with a full accounting of all evidence submitted with regard to its investigation into Peralta’s death. His amendment passed easily by voice vote. The Navy’s report would be due no later than 30 days after enactment – and that is where the last hurdle lies. Even though the House has passed it, the NDAA must still pass in the Senate to be binding. I recall hearing this story a few years back and I didn’t understand how the panel came to the decision that it made. I didn’t agree with it then and I still don’t. A medal will never bring this young man back, but it can offer those of us who weren’t there a small piece of understanding of the hell SGT Peralta and his brothers went through to keep us safe. Thank you SGT Peralta. Your sacrifice will never be forgotten. GIVE HIM THE DAMN MEDAL! I have written the Secretary of Defense in this matter. I feel it is/was the same hypocrisy of the McNamara leadership of the 1960’s. As a combat Vietnam Veteran this is a cause that should be supported and the end of the dereliction of duty and abdication of responsibility to the American people.